Export Portal claims both culture and strategy are about to get a 21st-century digital upgrade. Using Export Portal’s private blockchain-based B2B ecosystem, exporters and importers will be able to share information among each other in an encrypted, verifiable way. With import /export being notorious for its complexity (and paperwork, as the UK discovers with Brexit), this has the potential to be a game-changer for enterprises and financial institutions. 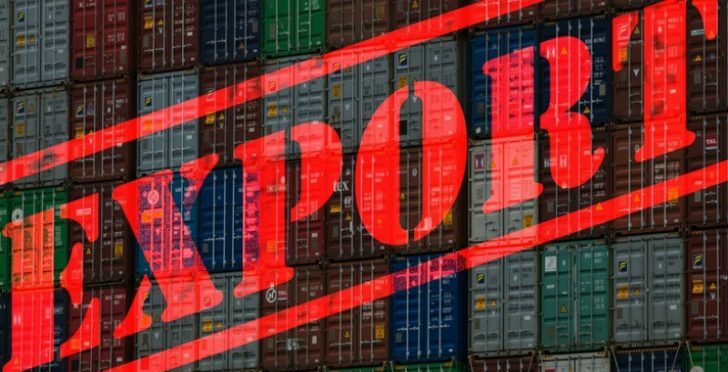 Export Portal CEO, Ally Spinu, states that “The idea of an unalterable single-source of information that all parties are in control of and cannot be hacked or duplicated has remained elusive until blockchain came into existence. Verified companies will stand out on the world stage! We invite manufacturers, sellers, freight forwarders, and logistics professionals to join at ExportPortal.com. For centuries, the control of assets or international shipments was handled by trusted third parties, including banks, with a slew of forms and personnel that had to be managed and tracked. Export Portal has its headquarters in Glendale, California. It has invested six years in building a private blockchain-based B2B trading platform. On this manufacturers, buyers and sellers can join what it calls its ‘secure ecosystem’. Export portal claims to be in 100+ countries and work across 70+ different industries. (Closer inspection does not indicate the depth that these numbers imply). The trading platform is international. It facilitates transactions between buyers, sellers and manufacturers involved export/import activities. The intention is to provide a one-stop platform, running 24×7. For Ms. Spinu the world needs something like Export Portal’s private blockchain. She argues business: “is hungry for ethical means to weed out frauds, fakes, IP stealing manufacturers and illegal trade that is fast approaching the $2 Trillion (USD) mark globally“. In principle, this is undeniable. The larger question is whether a private blockchain is the best means to address the endemic problems she identifies. Logically, a public version should be better. But it is also true that public- or government-sponsored activities in the import/export arena tend to make matters more rather than less bureaucratic. They also take time. ovecoming some heavy duty competition (from the likes, for example, of SAP Ariba and GT Nexus). Cross-blockchain messaging or atomic swaps?